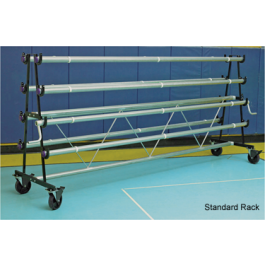 Our standard rack allows safe, fast and easy covering of the gym's surface. Roll-up and transport to storage area can be done by two people. 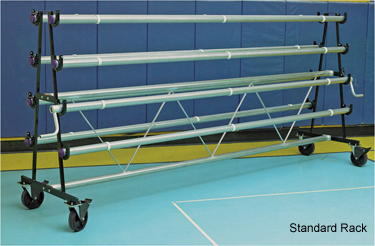 Our racks are available in 6, 8 and 10-roller models. Easy Lay-down and roll-up of floor covers.